Fuller’s love for food developed at an early age growing up in Hilton Head, South Carolina, where he apprenticed with a classically trained and lively chef through high school. After graduation, he moved to Charleston, South Carolina. 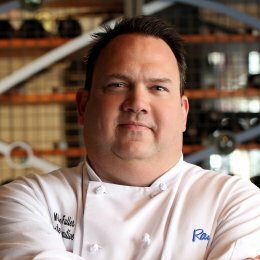 During his time there, he was sous chef at the acclaimed Magnolias restaurant while studying culinary arts at Johnson & Wales University. There, Fuller developed an appreciation for sourcing local and seasonal ingredients and carried this farm to table influence throughout his career. For the past 20 years, Fuller has worked with an array of restaurants, including McKendrick’s Steak House and OK Café, a concept from Liberty House Restaurant Corporation (Bones and Blue Ridge Grill). He was corporate executive chef for Amerigo Restaurants in Nashville, Tennessee, and Cartel Restaurants in Atlanta. In addition to his culinary experience, Fuller has introduced national brands into new markets (such as the launch of P.F. Chang’s in Atlanta in 1998) and has helped develop and implement consistent programs for national growth. In his spare time, Fuller mentors apprenticing students from the culinary programs at Le Cordon Bleu and the Art Institute of Atlanta. He is also involved with Children’s Healthcare of Atlanta, for which he has hosted multiple dinners and functions benefiting the charity. 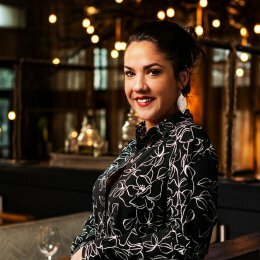 Kelsey has spent her entire working career in the hospitality industry, providing her with the experience and knowledge in all aspects of operations. Prior to joining the Ray’s at Killer Creek Team, Kelsey was the Director of Events for a large, family entertainment facility before quickly being promoted to Assistant General Manager. After the promotion, Kelsey continued to be responsible for all large corporate events to ensure a flawless execution. Kelsey also performed freelance work with a Medical Communications company based out of New York City that enabled her to travel country-wide, hosting events that educated doctors and members of the medical field. With such expansive knowledge and experience in various departments within this industry, Kelsey truly defines hospitality and enjoys, every day, being able to create memorable events for all of her clients and guests!